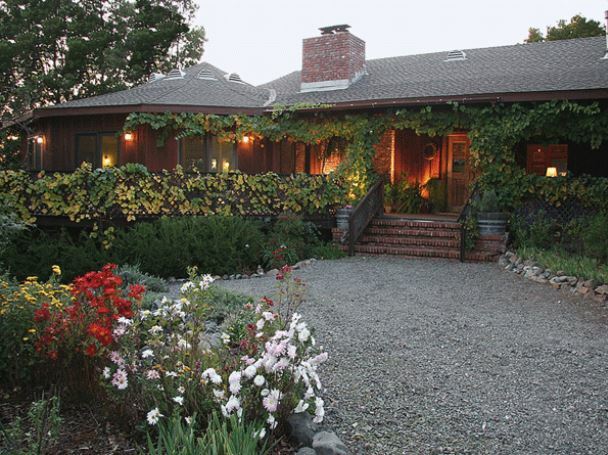 The Raford Inn is a unique property that overlooks a beautiful Sonoma County vineyard. The views from Madrona Manor in Healdsburg are gorgeous. 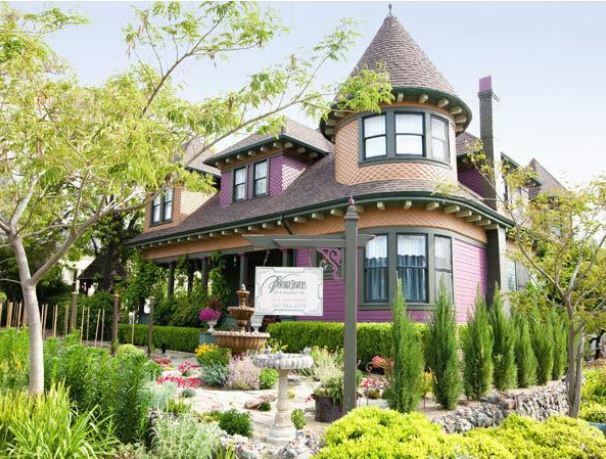 Sonoma County boasts a wide variety of wonderful lodging options, including many charming B&Bs. Part of the appeal of a bed-and-breakfast is the personal touches it offers, from intimate, one-of-a-kind settings, to that wonderful “B” — breakfast. 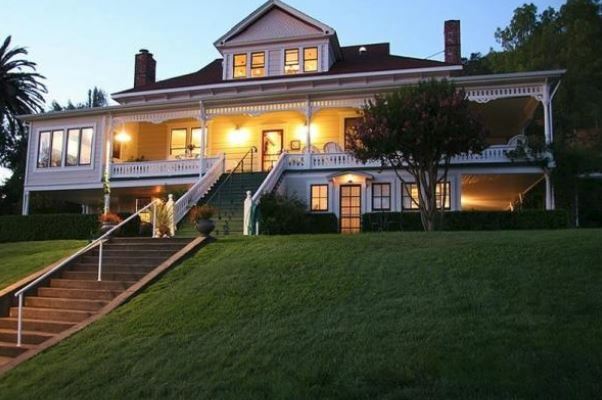 This lovingly preserved Queen Anne Victorian, which was built in 1901 and is listed on the United States Register of Historic Places, is surrounded by magnificent gardens, where guests can find intimate, relaxing seating areas. Choose from seven uniquely different guests rooms, four of which are tower suites with fireplaces. The well-appointed guestrooms offer luxurious linens, air conditioning, Wi-Fi, and private bathrooms. 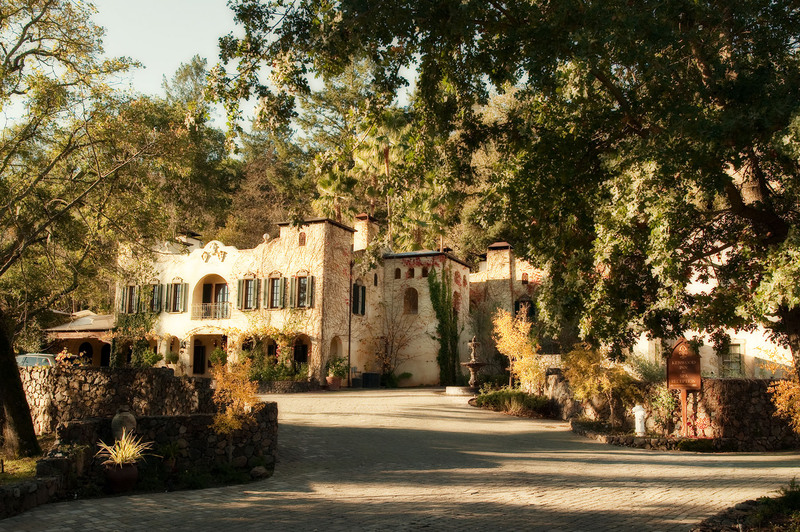 The inn is owned by Kelley & Young, a boutique winery started in 2007 by husband and wife team Kathleen Kelley and Jim Young as an outlet for Kathleen’s passion for food and Jim’s passion for wine. 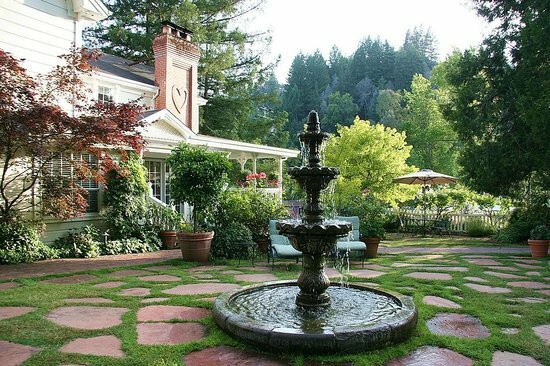 With the addition of Wine Garden Inn, the couple added hospitality to their list of passions by offering guests a beautiful places to stay in Sonoma Wine Country. 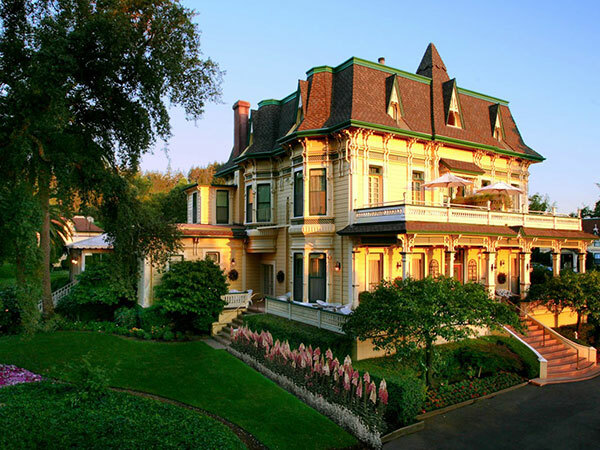 The beautiful Queen Anne Victorian mansion built in 1880 sits on four acres amid Russian River Valley vineyards in a quiet residential area. It’s truly off the beaten path, and you’ll love the coziness of its five beautifully decorated guest rooms with private baths and fluffy robes, and some with fireplaces. You can also relax in the sunroom, or on wicker chairs on the wrap-around veranda overlooking the gardens and grapes. It feels like a whole other world here, surrounded by vast open spaces, peaceful quiet, and the stars at night. For a lovely ritual, start the day with complimentary breakfast like stuffed French toast soufflé or artichoke frittata, then enjoy the inn’s complimentary wine and hors d'oeuvres reception every evening. 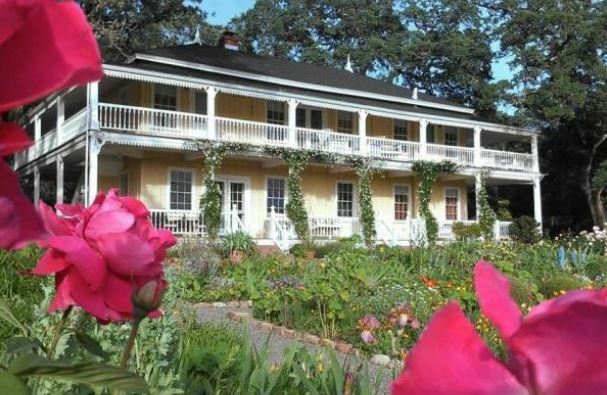 Budget Travel Magazine recommends this former hunting lodge turned B&B, for bonuses like child- and pet-friendly policies, plus luxuries like fine linens, gas fireplace, air conditioning, television with DVD and cable, bath amenities, robes, in-room massage, and a Passport for free tastings at 100+ Sonoma County wineries. Sprawled across five acres, the property offers five lodge rooms and five cottage rooms or suites, all with private bath and entry. The breakfasts are well worth waking up for, offering feasts like house-made scones with butter and jam, quiche with sun-dried tomatoes and artichoke hearts, roasted potatoes, sautéed mini tomatoes, chicken sausage, and fresh fruit. This is luxury all the way, boasting $400 suites, five-course wine-paired Michelin Star suppers, and extravagance befitting a beautifully restored 1881 mansion set on eight acres of English gardens and wooded hillside. Manor owners Bill and Trudi Konrad pay close attention to every detail, decorating the 18 rooms/suites with fine furnishings and warming them with fireplaces, plus inviting the outdoors in with large balconies or decks. Take your gourmet buffet breakfast in the estate parlor, if you can draw yourself away from your room outfitted in stately antique furniture worthy of a royal family, pillow-top mattresses, and feather-soft linens. This isn’t the kind of place most people will just stumble across. 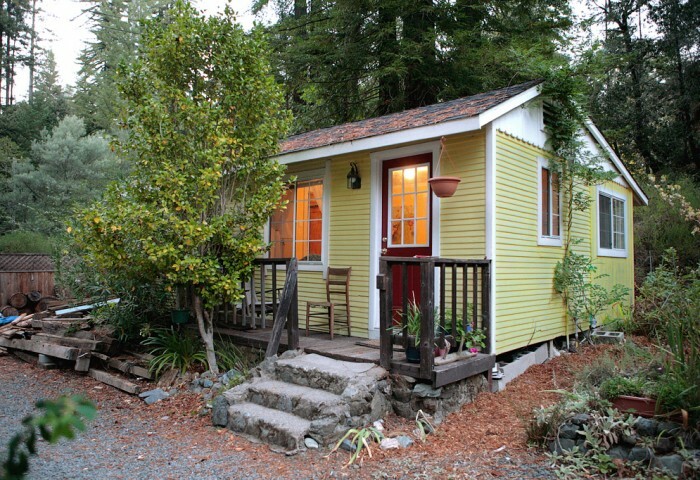 It’s about a mile from downtown Cazadero, and to get there, you need to travel on Highway 116, approximately eight miles through the woods west of Guerneville or four miles east of Highway 1. Then you turn north on Cazadero Highway and continue another 5-1/2 miles until you see the lodge and bakery nestled beneath the majestic old growth redwoods that tower above Austin Creek. Yes, bakery. The five private cottages sit in a romantic compound, decorated in themes of antique knotty pine, bamboo garden, and the Baker’s Loft, finished in hardwood. They overlook the bakery garden, where Mark and Elizabeth Weiss send out a mouthwatering array of fresh-baked-daily breads, muffins, cinnamon rolls, buttermilk blueberry scones, croissants, lemon bars, apple coffeecake, cookies, fruit tarts, turnovers, fougasse, double chocolate brownies, biscotti, palmiers, Danish, and so much more. Take a bed and breakfast, dress it up like a luxury resort, and you’ve got this delightful retreat from the posh Four Sisters group. 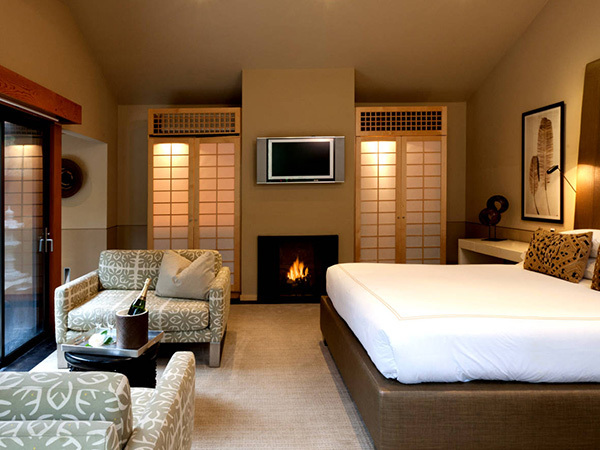 It’s a private oasis, offering 23 private Asian-inspired guestrooms and suites, plus eight new “Zen” suites featuring granite soaking tubs and Japanese gardens that beckon for en-suite spa treatments. This is definitely the good life, with stunning rooms that look like they’ve been plucked from a style magazine, done in simple whites and creams accented by rich wood furniture with bamboo and rattan accents. The magic continues with home-style amenities like creekside hammocks, while the B&B part comes in the personal, attentive service and the complimentary, three-course breakfast served every morning. When most people dream of Sonoma County Wine Country, this is what they envision. 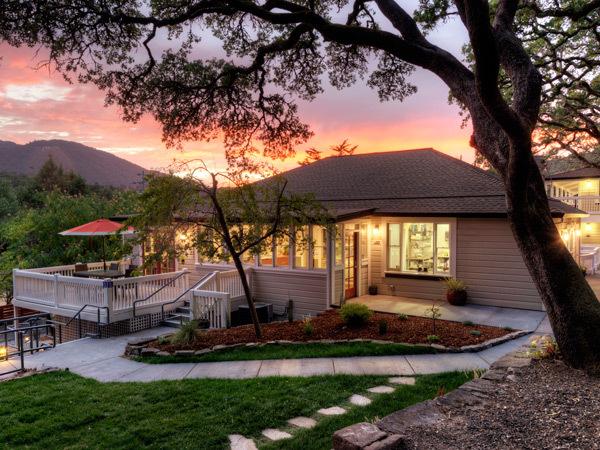 Tucked on a hillside overlooking the Sonoma Valley, the historic 1892 ranch house and cottages are a virtual Eden of gardens, vineyards, and orchards. Walking trails lead past grazing horses and cattle, through the ranch's winery estate, olive orchards, and the sustainably-farmed produce gardens that supply the kitchen for each morning's breakfasts. Choose from five bedrooms in the main house or a cozy cottage, all with private outdoor entrances, bathrooms, and patios. Prepare to love the décor, done in family antiques and original local artwork. This is truly one of Sonoma County’s best-kept secrets. It’s tucked in an unlikely place — most of us have only seen it as a tiny Mediterranean-style property on the edge of Highway 12 and have little idea what it is. Stay here, and you'll discover a lavish 29-room resort with a luxurious spa, multiple pools and hot tubs, and a lavish breakfast buffet. Each room is different, yet all are posh palace retreats, from the fireplace sitting area, to the castle-like ambience of polished concrete floors and plaster walls set with iron framed windows, to the baths that are nearly large enough to live in. This rural property is a ravishing mix of gorgeous guest rooms, a restaurant fed by farm-fresh food, and a seasonally inspired spa. The owners, siblings Catherine and Joe Bartolomei, come from fifth-generation farmers. Recently, the property underwent an expansion and redesign of the circa-1870 hideaway. Amid the towering redwoods of the Russian River Valley, crews added eight guest rooms housed in an elegant new “barn,” refreshed the Inn’s original ten guest rooms, and brightened the Michelin-starred restaurant that fronts the property. Baths are gussied with large jetted tubs and saunas or steam showers, morning starts with full breakfast and fresh flowers in your room, and in the afternoon you can take wine tasting classes with Sonoma County's only Master Sommelier, then move on to homemade cookies and milk. 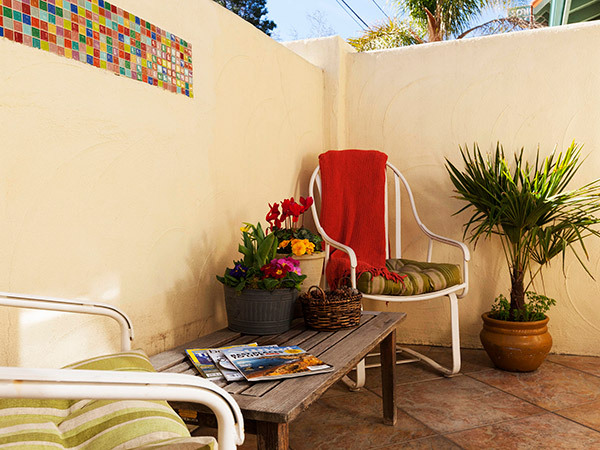 This darling, reasonably priced 16-room hideaway has been recently updated, for colorfully decorated rooms with private outdoor patios or porches, flat screen TVs, Keurig coffee makers, and mini-refrigerators. The country chic décor is bright and cheerful, with amenities like chess games, a pet friendly policy, and a soothing garden courtyard with a fountain. Staying here is a deal, too, since besides reasonable rates, the hosts offer complimentary tasting passes at area wineries. Surrounded by English gardens and framed by towering redwoods, the pet-friendly Inn at Occidental offers spacious rooms and a laidback atmosphere. With 16 guest rooms and a two-bedroom cottage, this graceful clapboard mansion is larger than a typical B&B, but just as cozy. The tasteful theme rooms are great fun, like the Safari suite boasting a giraffe mural, and antiques, replicas, and wonderful pieces of original artwork can be found in every room. Outdoors you’ll find expansive open space and hiking trails, and a seasonal swimming pool. The changing daily breakfast menu showcases local ingredients. 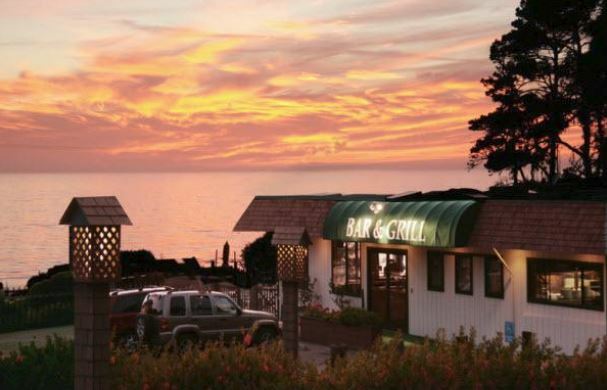 An intimate Cliffside retreat with 16 rooms nestled around a hot tub and picturesque gardens, the lodge is just minutes from state parks, sandy beaches, ancient redwood forests and glittering blue ocean coves. Tip: the upstairs rooms have private sun decks, Jacuzzi tubs, and spectacular ocean views. The rest of the place is rustic but charming, and updated with 32” HDTV including Direct TV and HBO, oak furnishings and original artwork, mini-refrigerators, and microwaves. Well-behaved pets are welcome to stay in the private Cottage, and enjoy its lush gardens. There’s even on-site horse boarding available (outside, please), for access to the nearby parks boasting miles of world-class trail riding. People are welcome in all the six rooms, though, relaxing amid warm earth, rust and gold décor, country antiques, and breakfast of yogurt, breads, granola, fresh fruits, eggs, and seasonal goodies from the garden. As a new upgrade, the Guest House is now green, featuring 33 solar panels and new building insulation with recycled materials. The bright, cheerful retreat of eight rooms and the Lobby building with two king rooms is nestled into a hillside in the shade of oak and olive trees. It’s wine country charming, yet modern, Ask for one of the private, modern luxury cottages, and you’ll get your own private gardens, too. Goodies include complimentary in-room snacks and plush bathrobes, while pets enjoy vacations in the Hillside Queen Rooms and the Lower Garden Cottage, outfitted with dog beds and welcome baskets including treats, bowls and towels. Small, peaceful, and romantic, this English cottage with formal gardens rests in a redwood forest, surrounded by the music of waterfalls and creeks, making it a truly sequestered B&B. The Inn’s main building, Millpond Cottage, features four uniquely appointed guestrooms with full baths. The Waterfall room offers views of the waterfall, pool, and gardens; the Creekside suite overlooks the waterfall and millpond bridge; the large bay window in the Jane Austen room provides views of the woods and herb garden; and the Beatrix Potter room (inspired by the author of Peter Rabbit) looks out at the patio, gardens, and rabbit habitat. 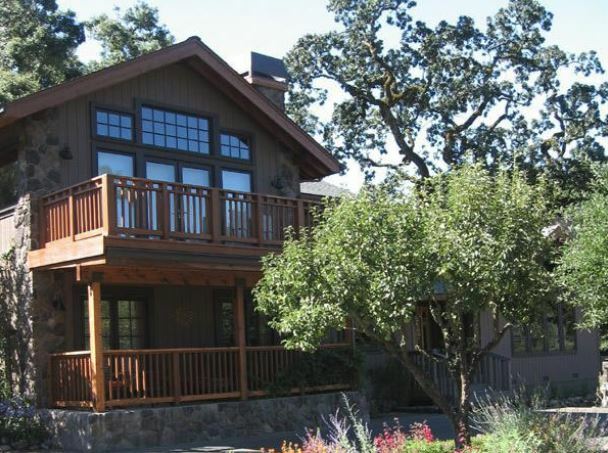 Two additional guests cottages are tucked under the beautiful redwood trees. A delicious full breakfast is served at 9 a.m. daily, and from May through Thanksgiving the onsite Restaurant at the CazSonoma Inn is also open for dinner and Sunday brunch, with menus changing daily to reflect the freshest possible local fare.